When planning your wedding, you are confronted by many decisions. Choosing a venue is the one decision that will have the largest impact on your big day. The date of the wedding, catering options, and attendees’ pleasant experiences … all are partly affected by which venue you go for. Does this sound a bit intimidating? You don’t have to feel that way. Here are some of our handpicked venues that we think you can’t go wrong with! When to start looking for a Venue? The earlier the better. Our advice would be to begin your search as early as possible. Once you have a good understanding of the following 3 things, you can begin your search for a venue: budget, number of guests attending and space requirements. If you’re thinking about an outdoor ceremony, make sure to keep a plan B waiting in the wings if the weather doesn't cooperate. Book a venue at least 12-24 months in advance (especially for the sought after locations). There is a lot to consider! 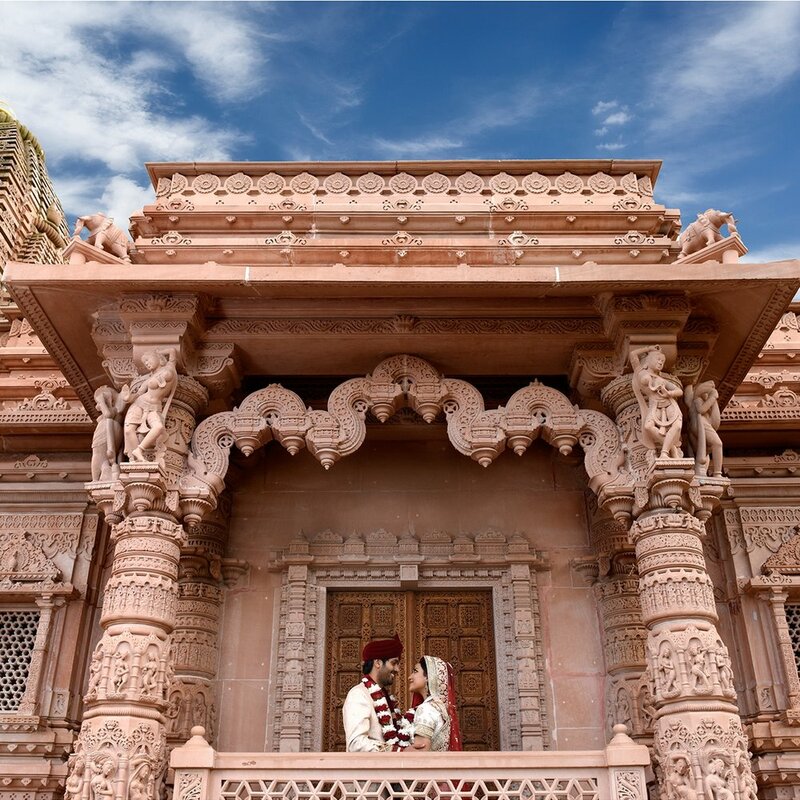 However, I have put together a list below outlining some of our favourite venues that we have covered as an Asian wedding photographer and why you may want to add them to your wish list. You may want to book a venue that is within a reasonable distance from your attending guests. If your guests are traveling, then it may be worth considering venues near airports or hotels. In whichever case, don’t forget to consider traffic, transportation and parking options. Make sure your venue has enough parking for all your guests and loading bays for your suppliers. Ask if there are marked disabled bays for your guests to use. A typical Asian wedding is easily over 300 people. We have covered an Asian wedding reception with over 1300 guests! Make sure you narrow down venues based on the amount of guests you are expecting from both sides of the families and the date you are looking to book. Does your venue have tables and chairs you can use? Does your venue have a setup and clean up crew? Do they provide someone who will keep the toilets maintained thought-out the day? Does it have AV capabilities for slideshows and background music? Asking the right questions could help you save a lot of money and effort by using what they already have! See if there are any open dates on their calendar that they may want to fill. Provide them with 2-3 dates or booking the same venue for multiple functions may get you a discounted rate. It’s also a good idea asking where you can and cannot shoot. Sometimes venues give you special access to shoot beautiful portraits in areas that are usually off limits. Find out if you can have a drone coverage in the morning for venue shots and for the Jaan’s entrance. Drones offer a unique bird’s eye view and cinematic perspective and can add so much production value to your album and film. It's perfect for outdoor or destination weddings. It’s also very important to find out if the venue has a sound limiter installed. This is a device installed in venues that are close to residential areas and they cut off power to the DJ’s speakers if the noise level is too high. I’ve been to many weddings where the sound has been cutoff because the DJ didn’t ask the right questions when taking the bookings. We have put together a list below which outlines some of my favourite venues that we have covered over the years and why you may want to add them to your wish list.